How do we position aspiring next gen educators to be successful? Mirror next gen learning for students, position educators as agents of change, and enable educators to direct their learning. Investing in people is critical if the promise of next gen learning is to be realized. It’s educators who help create and enable personalization. Educators put technology to use. Educators co-design and co-operatively manage learning environments (along with students, parents and other individual and organizational influences). To be a next gen educator you must know next gen learning, have experienced it, and be able to model it through your daily actions and interactions. 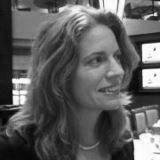 Several new resources outline necessary or recommended next gen mindsets and skill sets. Teacher competencies for learner-centered teaching, blended learning, and deeper learning are good examples, and yet there are still relatively few comprehensive supply-side offerings. So, how do we position aspiring next gen educators to be successful? Based on our experience working with six partner sites in the NGLC Regional Funds for Breakthrough Schools, we’ve observed a thoughtful mirroring of the elements of next gen learning specifically building skills in personalized, blended and competency strategies; a commitment to professional learning in which educators exercise choice and become agents of change; and, a flexible design that enables educators to shape and direct a large portion of their own learning—the what, when and how. If you think this description sounds like next gen learning environments for students, you’re right. That’s intentional. "If we want more students to experience powerful learning, we need to create development pathways that allow school and district leaders to benefit from the same blended, competency-based and deeper learning experiences that they seek to create for students." 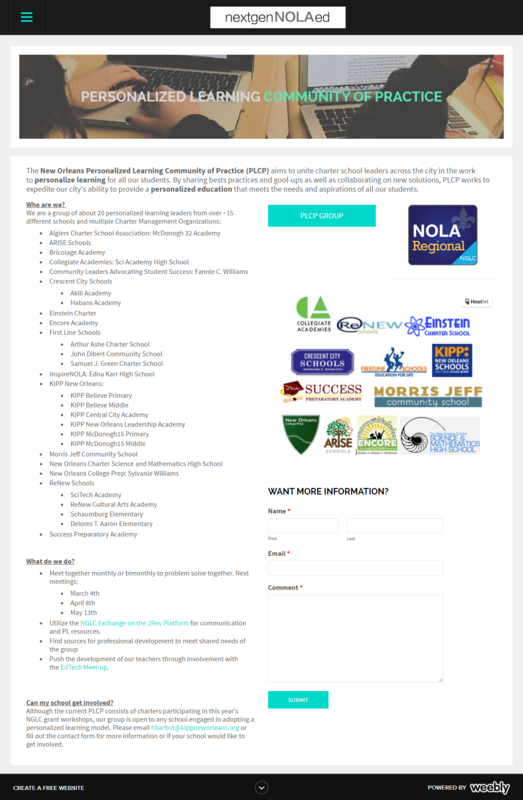 Educators participating in the Regional Funds use online platforms—like New Orleans’ Personalized Learning Community of Practice (screenshot below)—to communicate with their school teams, access learning modules, upload work products and share resources across teams asynchronously. Then during face-to-face workshops (such as New Orleans’ Personalized Learning Group Meetings), participating school teams engage in discussion, dive deeply into design thinking, collaborate with experts, and apply new learning to planning their own school designs. The resulting learning network creates a “virtual home” for participating educators, and reinforces their shared identity—as members in a community of innovative, and sometimes tech-savvy change agents taking on the challenge of next gen personalized learning. Since they’re not working alone, educators can tap into the power of this community identity… the power to create, to collaborate, and to persist with the encouragement of like-minded colleagues. 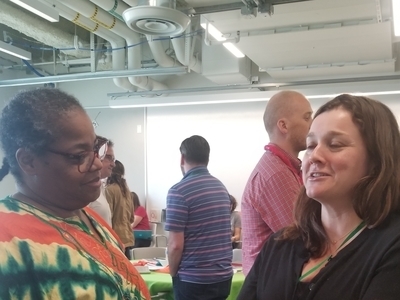 After Dwight Davis of Wheatley Education Campus in Washington, D.C., participated in regional partner CityBridge Foundation’s Summer Design Institute, he shared how he planned to create a similar sense of community that he experienced at the institute among teachers at his school. 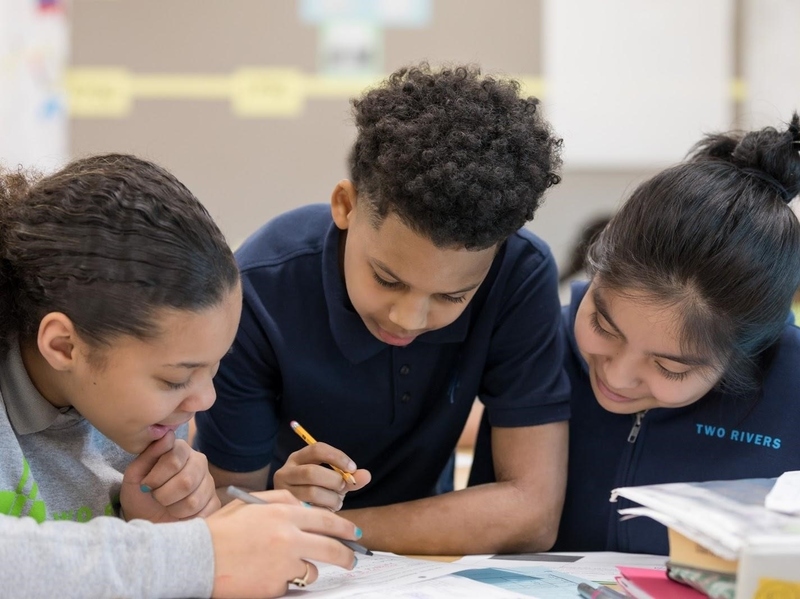 Blended strategies that foster connections between and among educators while engaging them in content help accelerate learning and build lasting community. Effective professional learning employs creative methods for tapping our curiosity in order to unlock more knowledge. Educators working with regional partners often remark that next gen learning wasn’t what they thought it was; and that the more they know and grow, the more they realize what they don’t know. For me, this is a litmus-like indicator of an engaged learner, especially when that reflective insight is shared with wonder and excitement instead of frustration or discontent. The Regional Funds sites provide a space for educators to look with a critical lens at the current system. The goal is to identify what today’s schools do well and what they don’t do well because they were designed for a different time, different set of assumptions, different purpose. This process of reflection can make unconscious paradigms visible and facilitate a constructive process of unlearning. Participants then can look to NGLC’s national network of next gen learning schools to serve as inspiration for what’s possible. Several regional partners invited leaders from these innovative schools to facilitate workshops and serve as mentors throughout the training process. Participants looked at case studies, videos, and profiles of NGLC-funded schools. They went on site visits to see how these models operate, to experience their culture directly, and to observe instructional practice. It’s at this point that many educators, now curious from their own experience, begin driving more of their own learning by seeking to understand these new models. Educators determine the school model design elements that resonate with them and how to translate that inspiration into the school they’re imagining. What aligns best with their educational philosophy and vision for student learning? What works best for their school community? In this video, Errika Baker of University of Chicago Charter School, Donoghue Campus, describes that process, talking about how she might apply to her school what she learned this summer through a Breakthrough Schools: Chicago workshop on scheduling and staffing. Because competency-based professional learning values the expertise that educators possess, the approach opens up space for learning opportunities to attend to the emotional aspects of change. When participants examined the current system, for example, it wasn’t just an analytical exercise; it was an emotional experience. I’ve observed many participants talk about a particular child that wasn’t served well, someone the teacher wanted to help but couldn’t in the traditional system. This personal connection to the challenges confronting the current system then became a driving motivation to consider different models for school and for entirely new possibilities before unimagined. It unleashed their expertise, empowering them to apply their knowledge and skills to the challenge of next gen learning design. Coaching plays a prominent role in cultivating next gen professional learning. Coaching strategies are powerful because they honor educator agency. Unlike experts, advisors and managers, coaches rarely give answers or advice; instead they listen, and through thoughtful questioning, push team members to discover their own best answers and next steps. Coaches help teams stay on track through regular check-ins and they pave the way to supporting and providing what it is teams say they need. Coaches are flexible and expect needs to change. A coaching model of professional learning opens up time for learning as a journey, rather than treating it only as a requirement, destination or end-goal. Each team of educators in the Regional Funds is actively engaged in planning a next gen learning school. Regional partners are purposeful in creating the conditions that set these educators up to succeed. So, it may seem ironic to think that’s largely achieved by granting them the freedom to fail—meaning permission to try out new ideas and strategies, to make mistakes, and to shift local designs based on new information. This is part of educator ownership of the school model and choice in their learning experience. Educators have skin in the game. It’s their ideas that are being tried. Coaches can help these adult learners to trust the insights failure provides, build on their own strengths, and become confident in their role as change agents. Coaching takes a different form in each site of the Regional Funds initiative, but it is shared by all sites. Coaching is a cornerstone of New England’s strategy for school-based transformation. The Great School’s Partnership deploys coaches directly to each site to guide and support schools. In Washington, D.C., and Chicago, a combination of internal and external coaches are used. Sometimes the coaches have a special expertise such as having started a new school themselves and can play a supportive mentor-like role; but even in these cases, they do not posit that they have the answer or that their work should be emulated. New Orleans and Oakland contracted external coaches to support school teams. Embedded coaches support the schools in Colorado and are key partners in the initiative. Deeper learning involves mastering core content while learning to think critically, collaborate, communicate, direct your own learning, and believe in your ability to learn. Here are three fundamental principles that you can use to pull together your own next gen professional learning program. This is pioneering work. There’s no silver bullet. The six Regional Funds sites have made an investment of time, resources, and ongoing support, because that’s what it takes. While they may not have all the details worked out, the coordinating partners know that only a long-term commitment to the professional learning of the educators in their region will lead to success for their local initiative. They curate and iterate thoughtfully in order to serve and support these willing, able, and courageous next gen pioneers in a largely as yet unknown territory. The most powerful professional learning has come from the relationships among and across school teams, through face-to-face convenings, coaching, and online or networked interactions. The building of a community has exponentially improved the quality of designs developed by participating schools and accelerated their capacity for change. Leveraging the national network has provided a boost, but local context and shared experience are the most fertile ground for growth of next gen learning. Participating educators are making a choice to take on the challenge of next gen school design, and they need freedom to make decisions about what that design looks like. It’s their own learning journey that’s exciting. Rather than providing professional development that’s prescriptive, the sites are offering the time, space, and support for school leaders and teachers to utilize their agency. It’s a good reminder of what students need for learning, too. 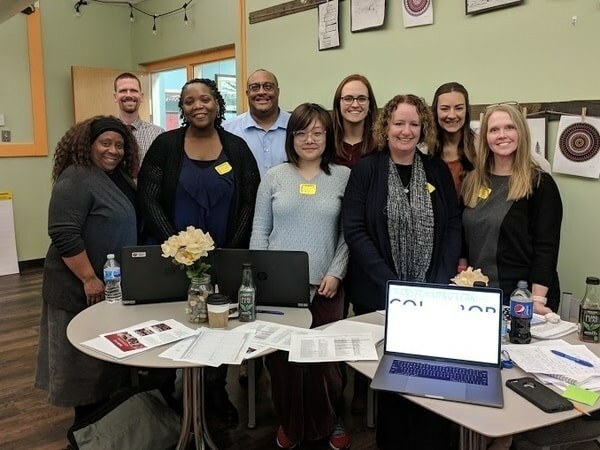 The Possibilities for Next Gen Professional Learning - NGLC and its partners in the Next Gen Professional Learning Project asked educators to share with us their use of and perspectives on next gen learning for teachers and this is what we learned. Learning Excursions - Giving teachers personalized professional learning authentically enables next gen personalized learning for students. We look at an example of this with a recent "learning excursion" to San Diego schools. 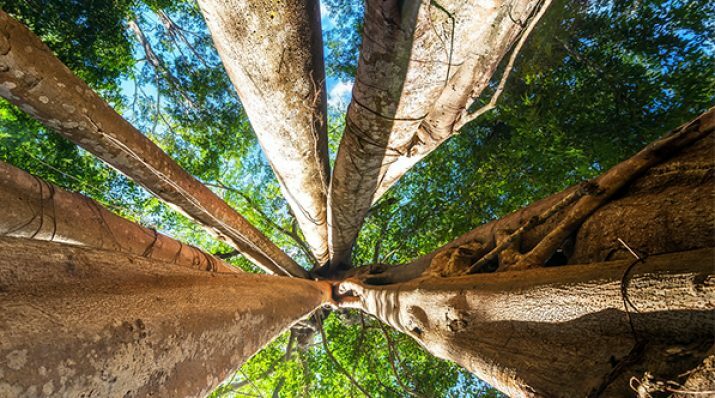 We Are All Learners: Professional Learning in Collaborative Networks - The opportunity to connect with a network around shared problems of next gen learning practice offers fresh and different perspectives that rejuvenate your sense of purpose.